The data below are based on survey data collected from an online survey administered from December 2014 to March 2016. The maps display information and profiles for 37 programs that we discovered through that surveying process. Our intention was to capture information on pilot initiatives, programs, and other activities pursued by educators and community leaders. New maps with updated data are coming in 2018. Take our survey here to help us update the maps. This map shows 37 programs. Some of which have multiple sites. For a full list of programs, click the drop-down menu. Strong—The program has provided documentation of the results of one or more randomized controlled trials, preferably conducted by an independent research institution on the specific intervention. The study is aligned with the What Works Clearinghouse’s standards. Promising—One or both of the following criteria have been met: The program has provided documentation of the results of an assessment of effectiveness (beyond data or user feedback, but not meeting the What Works Clearinghouse’s standards for randomized controlled trials), preferably conducted by an independent research institution on the specific intervention. The program has provided documentation of peer-reviewed evidence showing that a similar approach has worked elsewhere. Emerging—The program has provided documentation of intervention usage and user feedback. Developing—Research is ongoing, so no current evidence exists or documentation of evidence is forthcoming. This map displays the headquarters or primary location of each program. There are 37 programs on the map. The majority of the programs (19) have a family engagement component. Other programs (11) have school- or center-based initiatives. Five programs use public media partnerships, and another five include some professional learning for educators. Four programs are connected to a museum or library. The various approaches we saw show the many options that communities can use to engage young children and their families. In many cases, the aim is to build an ecosystem of support so children can grow up to be learners who are adept at using and understanding many different resources. Librarians, family engagement coordinators, home visitors, pediatricians, early childhood educators, and other professionals who interact with young children all can help families learn about the best ways to promote their children’s healthy development. The Campaign is a collaborative effort by foundation, nonprofit partners, business leaders, government agencies, states and communities across the nation to ensure that more children in low-income families succeed in school and graduate prepared for college, a career, and active citizenship. The Campaign focuses on an important predictor of school success and high school graduation -- grade-level reading by the end of third grade. Research shows that proficiency in reading by the end of third grade enables students to shift from learning to read to reading to learn, and master the more complex subject matter they encounter in the fourth grade curriculum. Most students who fail to reach this critical milestone falter in later grades and often drop out before earning a high school diploma. Yet two-thirds of U.S. fourth graders are not proficient readers, according to national reading assessment data. This disturbing statistic is made even worse by the fact that more than four out of every five low-income students miss this critical milestone. In a future version of the INTEL map, programs using technology that are part of the Campaign will be identified and each will have its own profile page. The Ready to Learn Initiative is a cooperative agreement funded and managed by the U.S Department of Education’s Office of Innovation and Improvement. It supports the development of innovative educational television and digital media targeted to preschool and early elementary school children and their families. Its goal is to promote early learning and school readiness, with a particular interest in reaching low-income children. In addition to creating television and other media products, the program supports activities intended to promote national distribution of the programming, effective educational uses of the programming, community-based outreach and research on education effectiveness. The Corporation for Public Broadcasting (CPB) and PBS have received funding from the Ready to Learn Initiative. A recent grant will provide $19 million in year one of a five-year grant to fund CPB and PBS’ innovative science and literacy media initiative to support the learning needs of children in low-income communities. All 37 programs offer English. Thirty programs offer Spanish, and seven programs use other languages, such as Arabic or Mandarin. For example, Ready4K! was able to send text messages to families in their home languages, using tech to make early learning accessible to a diverse group of people on a large scale, and through the use of short video clips, ReadyRosie shows families how to deploy short literacy or math activities in both Spanish and English. On the map, we recorded the number of programs that serve each age group, from birth through age eight. Twenty-seven programs serve children from 0–3 years old. Twenty-six programs serve children from 4–5 years old, and sixteen programs serve children from 6–8 years old. Almost 60 percent of the programs serve fewer than 1,000 children; eleven programs serve more than 10,000 children. The graphic below documents the primary technological tools that programs use to develop early language and literacy skills. All 37 programs use multiple technological touch-points for outreach. New America's Education Policy program and the Joan Ganz Cooney Center at Sesame Workshop have partnered to produce an interactive toolkit for leaders interested in promoting early learning and supporting families in the Digital Age. This work was made possible through generous funding from the Joyce Foundation. Seed funding came from the Alliance for Early Success and the Pritzker Children’s Initiative. 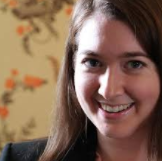 Shayna Cook was a policy analyst with the Education Policy program at New America. She was a member of the Learning Technologies project. Cook researched and reported on innovation in family engagement, new technologies, and digital equity issues concerning children from birth through third grade. 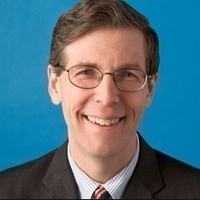 Michael H. Levine is the founding executive director of the Joan Ganz Cooney Center at Sesame Workshop. 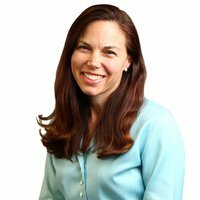 Laura Zimmermann is an Institute of Education Sciences Postdoctoral Research Fellow at the University of Delaware and a consultant for New America's Education Policy program. 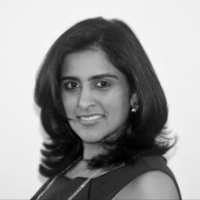 Sadaf Sajwani is the Director of Partnerships & Planning at the Joan Ganz Cooney Center at Sesame Workshop. 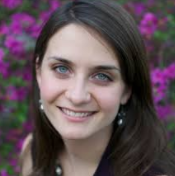 Elisabeth McClure is currently a research specialist at the Lego Foundation Centre for Creativity, Play, and Learning. She is a former fellow at the Joan Ganz Cooney Center at Sesame Workshop.